A trendy pair of pink shoes with a velcro fastening. 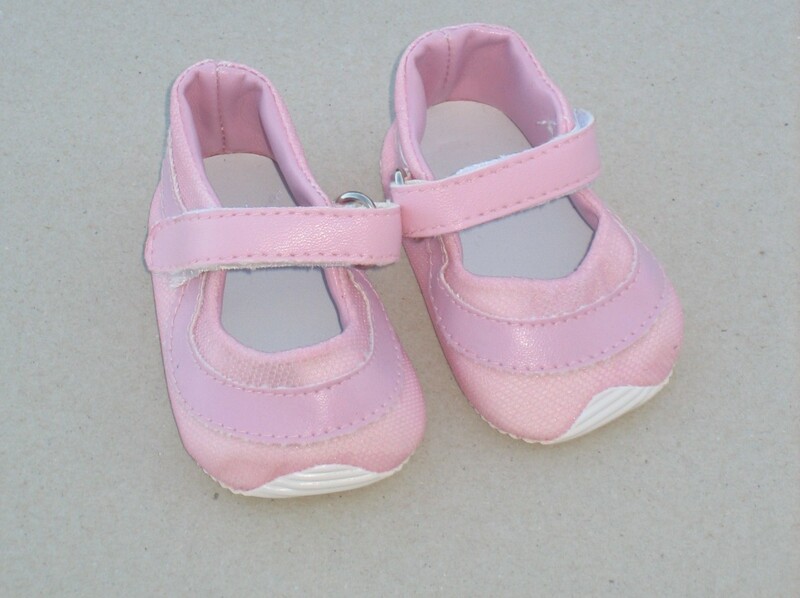 With their light pink colour, these fabulous trainers look great with most of our girls outfits, in particular our scotty dog outfit, pink jumpsuit and gorgeous coat and hat set. Fits dolls and bears 42 - 50 cm which includes many of the Baby Annabell, Baby Chou Choc and Bear Factory Bears.